Welcome to St. Johns River State College's Teacher Education Department! We are excited that you are considering a career in education and want to help you get on the path that is best for you. Students progressing towards a Bachelor of Science in Early Childhood Education will find information pertaining to the required pre-requisite classes and admission requirements for the program. 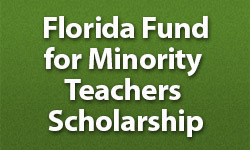 Students who already have a bachelor degree or higher and are interested in obtaining a Florida teaching certificate, we encourage you to learn more about our Educator Preparation Institute (EPI), an alternative teacher certification program approved by the Florida Department of Education. Finally, for teachers who currently hold a Florida Professional Teaching Certificate and are looking to take classes for recertification we offer several, online education courses for this purpose.